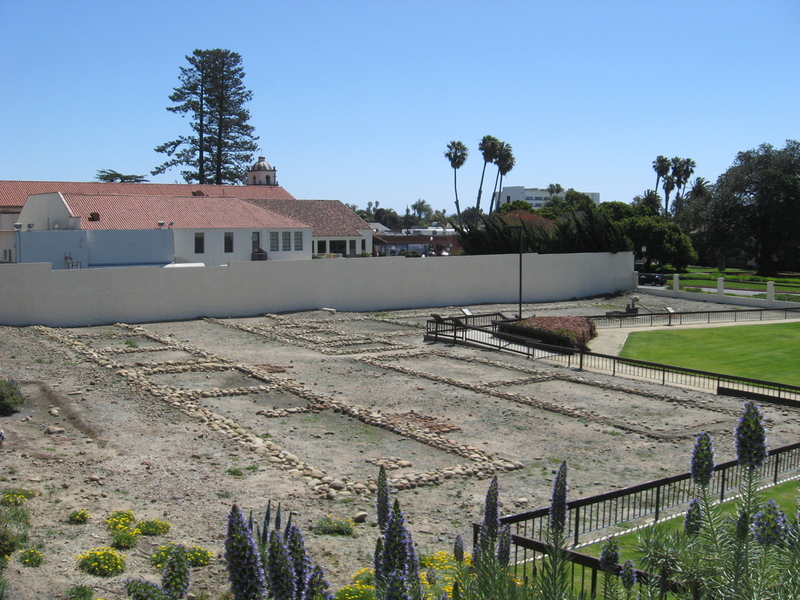 So here are some random images from our 24-hour vacation to Ventura. We brought our bikes, so we could go riding on Sunday morning. On the way out to dinner, we saw seagulls walking around near the park, looking for food. 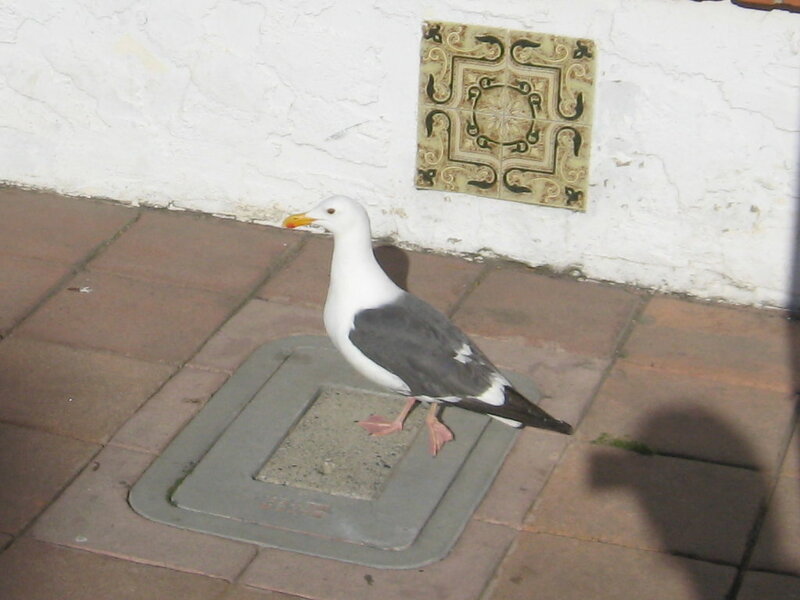 We don’t see many seagulls inland in Pasadena. 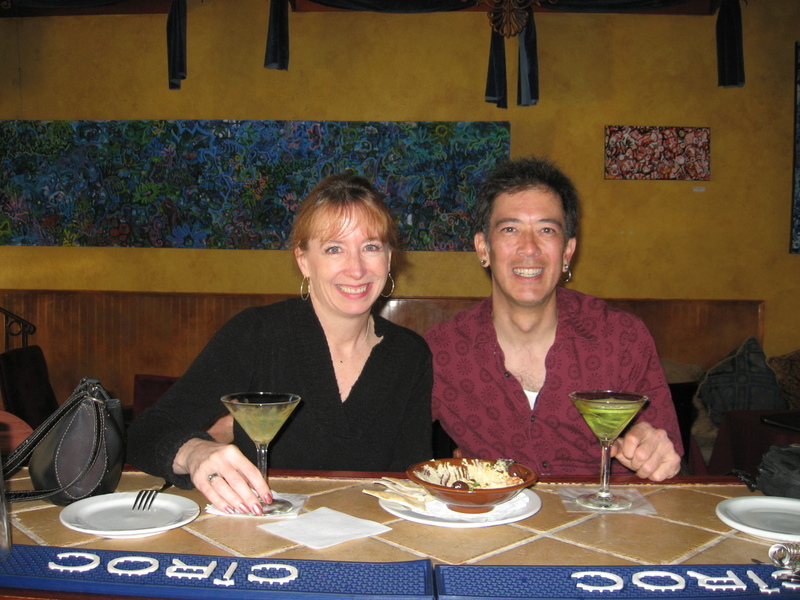 We had dinner at a restaurant with a martini bar, so we started off with caramel-apple martinis, which was novel. After the ride on Sunday, I took a walk while Susan showered. 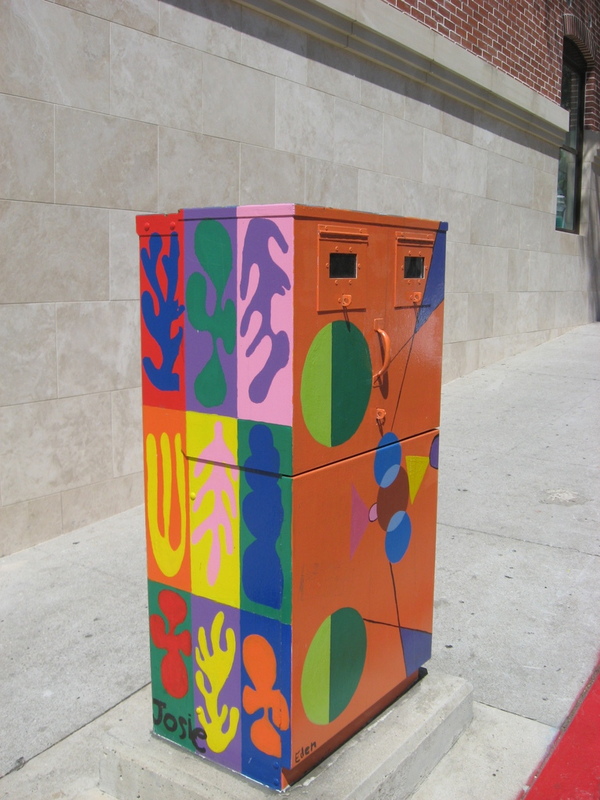 I saw utility boxes painted and turned into art. 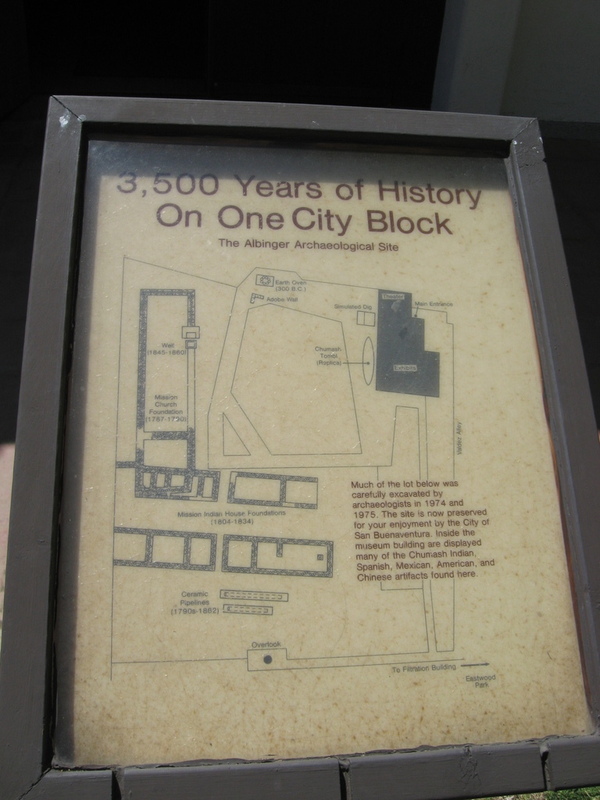 I also visited the Albinger Archaeological Museum and saw the excavated foundations of the original mission church. 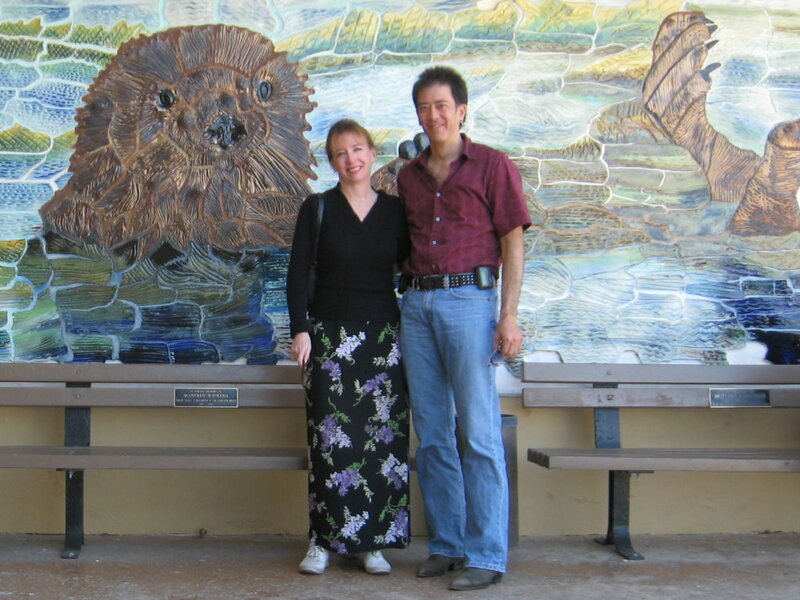 Before heading home, we had lunch at the marina, and got a souvenir picture with a tile mural of a sea otter. It was another nice, albeit short vacation. Edit: (4/7/2009) And this trip has turned out to be the swan song of our relationship. It all collapsed for reasons I’m not going to go into. It’s sad, but it will be all right in the end. 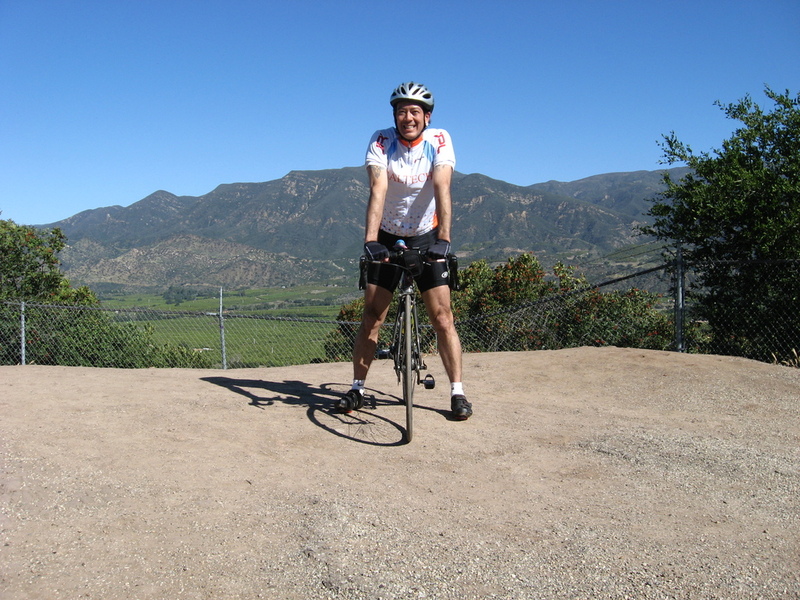 For a year now, Susan has been telling about the rides she used to do with the Channel Islands Bicycle Club when she would visit Ventura. 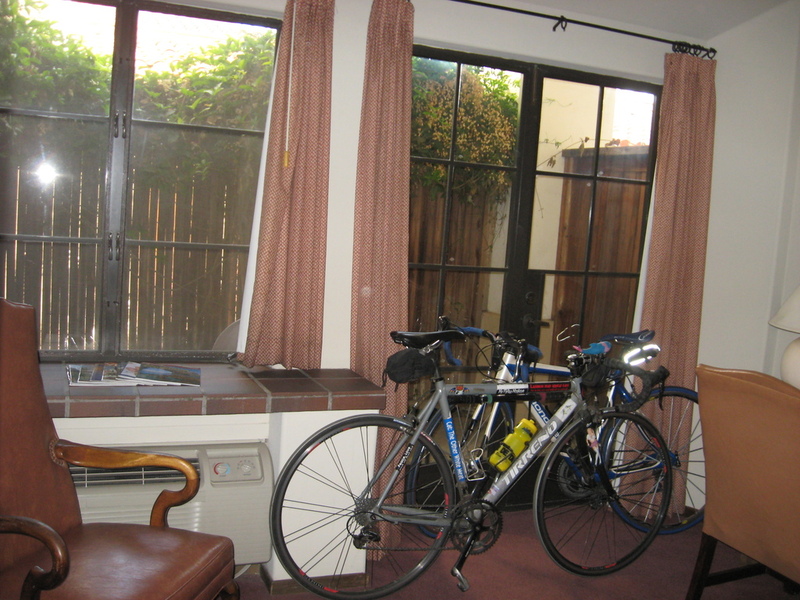 So this weekend, we headed up there for an overnight micro-vacation complete with a bike ride on Sunday morning. The ride started at the park next-door to the hotel, which was very convenient. It was relatively warm for 8:00AM. 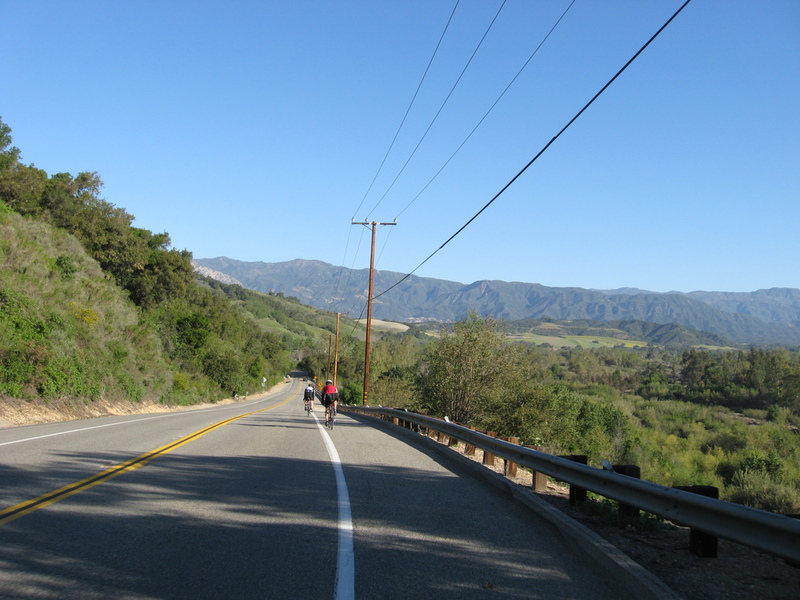 The ride went up to Ojai and back, including a gratuitous climb up the Dennison Grade on Highway 150. 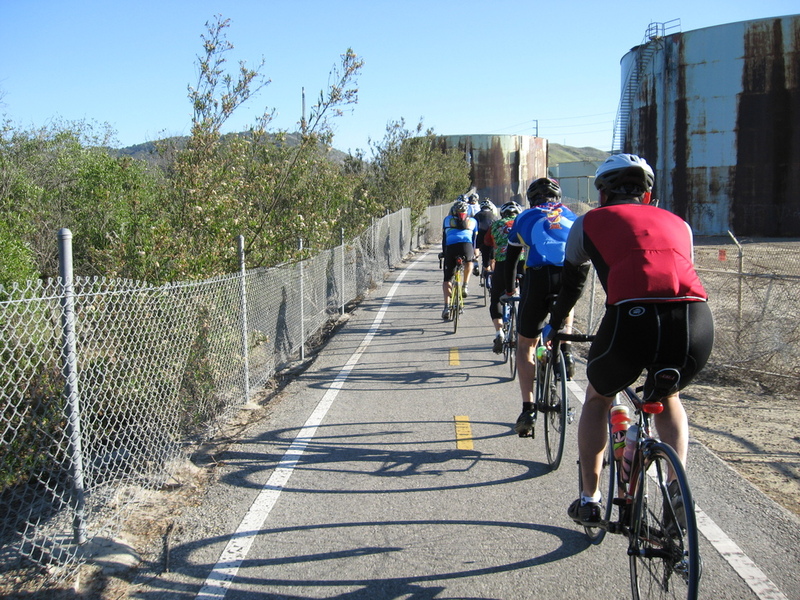 We started out on the Ventura River bike trail, which paralleled the 33 Freeway. 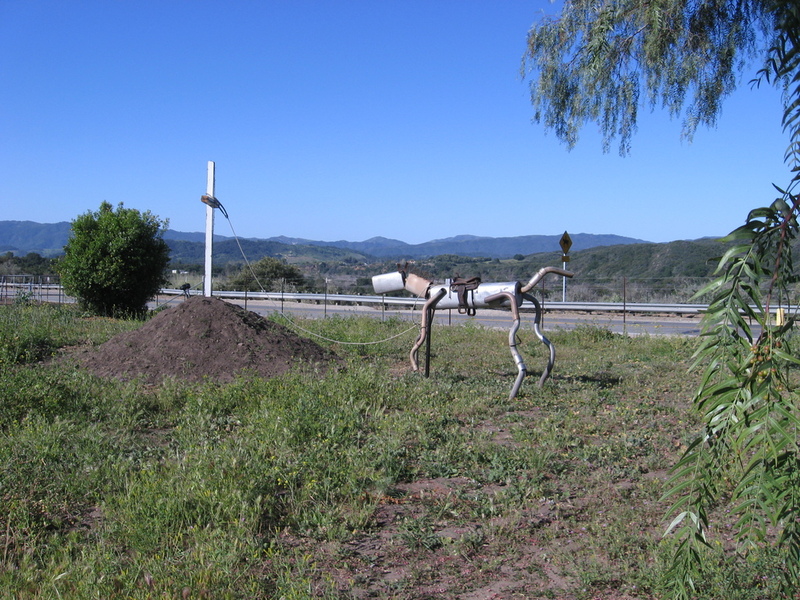 We rode through some oil fields on the way out of town, but we were out in the country very quickly. 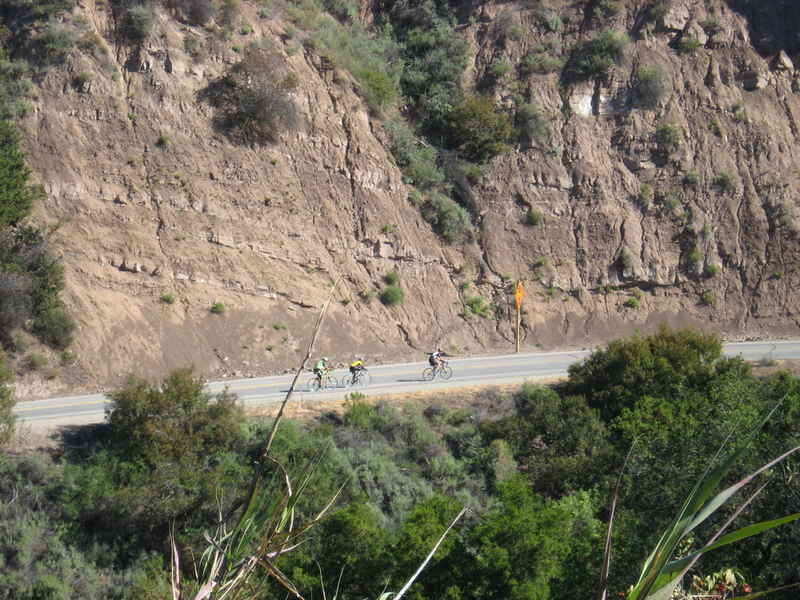 We went up past Lake Casitas, which had some very nice views from the road. 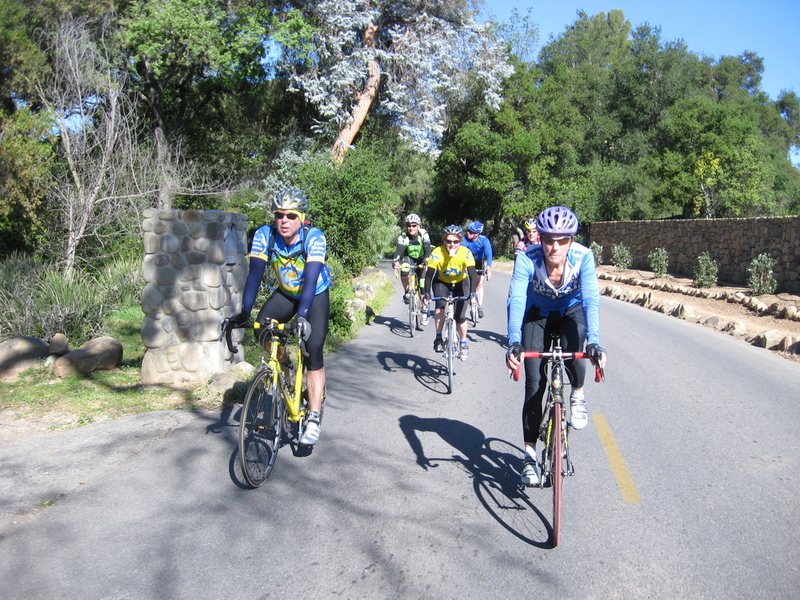 Then it was down into Ojai. That was where I saw the Muffler Horse. I’ve seen Muffler Men before, but never a horse. 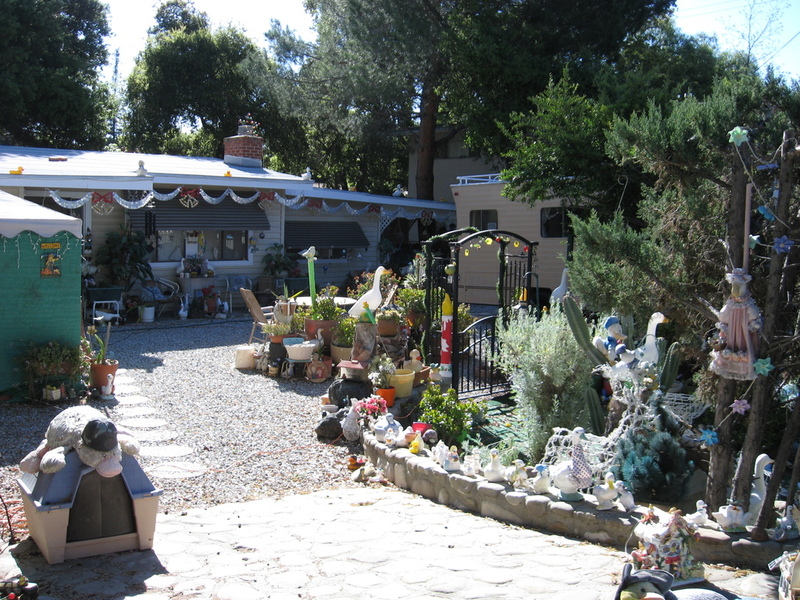 A bit later, we saw a house with the front yard turned into a large found-object art project. That was pretty amusing. Then it was time for the gratuitous climb. It was a pretty nice uphill, with a nice viewpoint near the top, complete with a wall I could balance the camera on for a picture. Then we turned around and went back down. 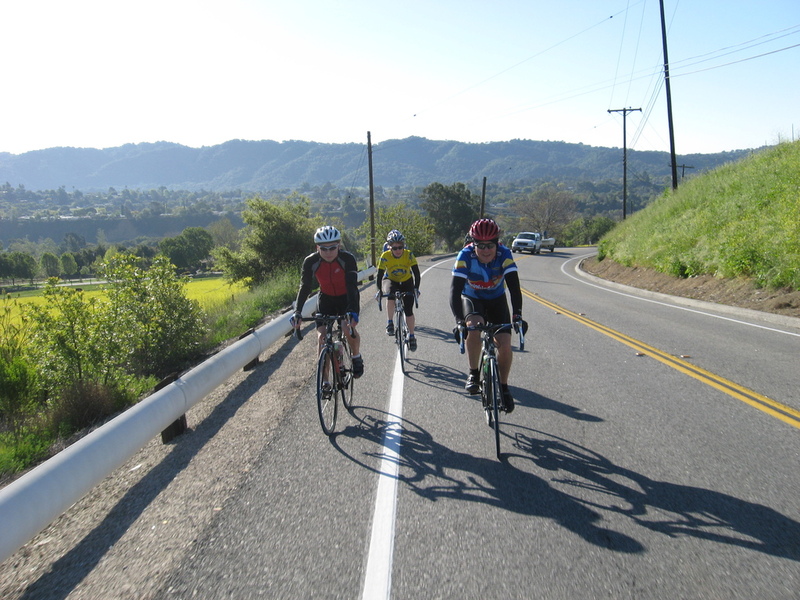 At the bottom, we picked up a stiff tailwind, and we were able to cruise at 30mph easily. That was fun for a few miles. Then we got to the snack stop. 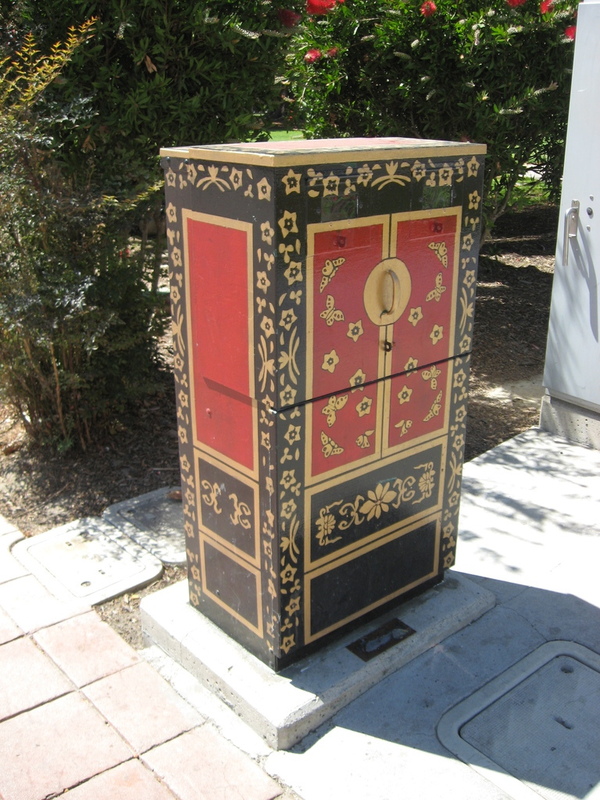 We loitered around for a bit until a group decided to head back. We rode pretty much straight south back to Ventura. It was mostly downhill, but with a weirdly varying wind that kept changing direction on us. 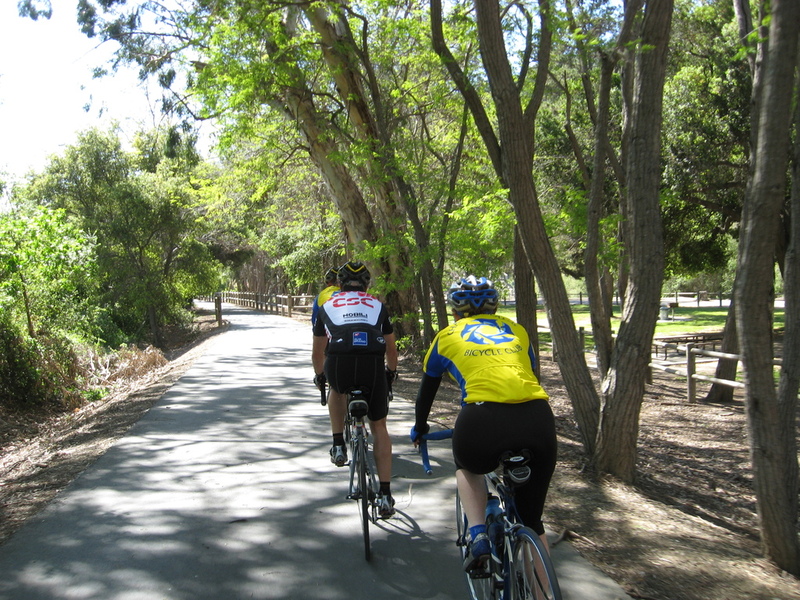 The last part was back down the bike trail we’d started on, which let us off right by the park where we started. 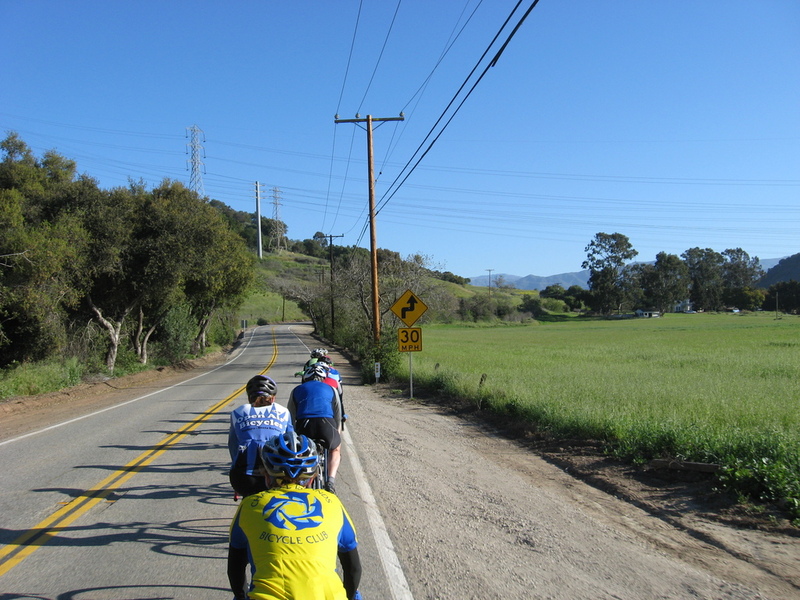 It was a very nice ride with some very pretty scenery.